This Three-Arch bay kitchen remodel in Laguna Beach was designed to utilize the large vaulted ceilings and large entertaining space. 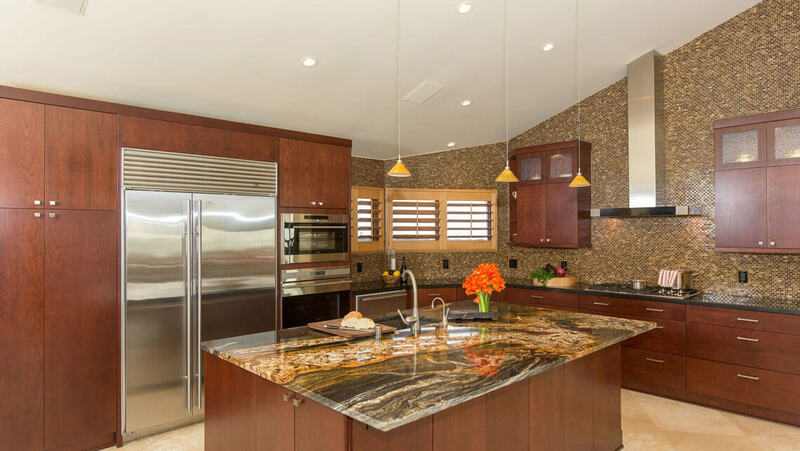 The 7-foot island houses a truly unique piece of granite with glamorous movement throughout the piece. 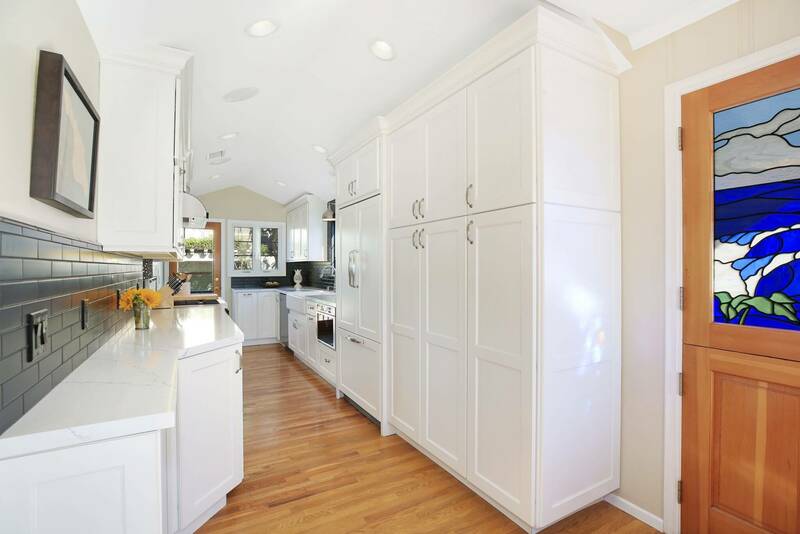 The focus was put on the kitchen island, so the perimeter countertops were kept simple. The slab front kitchen cabinets created a modern tone for the kitchen to match the other design elements in our client’s home.